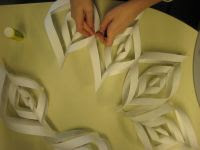 How To Make The Most Beautiful Paper Snowflake Ever a spectacular origami like snowflake deco. 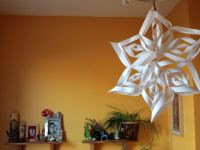 Come on lets decorate our house with hand made beautiful paper snowflake before Christmas Day Celebrations 2008. 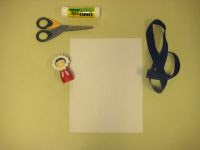 This is the material you will need for this how to :)The momiji doll is not mandatory but she really did enjoy watching us! 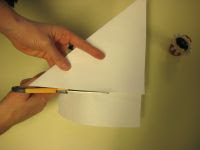 With a pencil, mark four equal points to guide you with your cut. 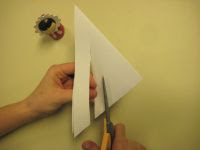 Make a cut following the length of the triangle and stop a little bit before the edge. 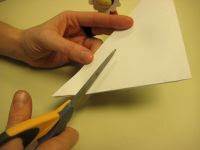 Make the second cut in the same direction, stopping just a few millimeters before the first cut. Put the triangle on the table. 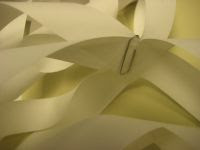 Unfold it. You now have a square. 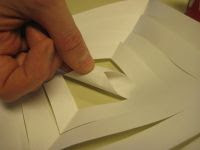 Fold the two center cuts and glue them together. 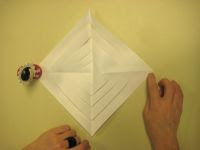 Use your finger as shown in the picture, holding the pieces together for a few seconds and allowing them to dry a bit. Turn over the square. 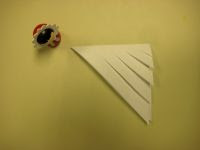 Fold the two second cuts and glue them together. 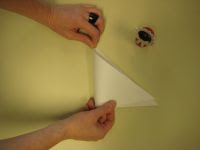 Use your finger as shown in the picture, holding the pieces together for a few seconds and allowing them to dry a bit. Turn over the square. 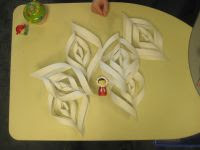 Fold the third cuts and glue them together. Turn over the square. 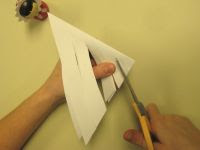 Fold the fourth cuts and glue them together. Turn over the square. 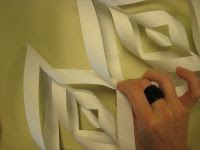 Fold the fifth cuts of the cut paper and glue them together. Voilà! You have the first point of your snowflake. 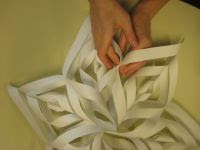 Repeat those 13 steps 5 more times, making in total the 6 points required to complete your snowflake. 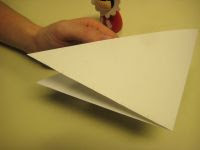 Hold the paper together with you finger for a few seconds to allow the glue to dry a bit. 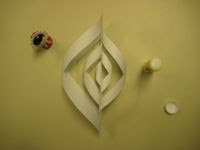 Glue the last side to side point. You can use a paperclip to hold the final part. 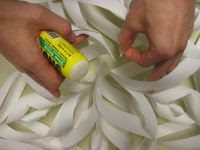 Allow the glue to dry at least one hour. Glue the sides of three of the points and then glue the three ends together. Repeat this for the other three points. Then glue these two halves together. 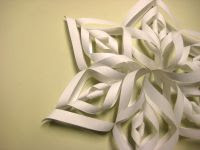 Use a nice ribbon to hang the snowflake.